The school was established in September 2008 to students from Kindergarten to Grade 7 and subsequently has expanded so that by the beginning of the 2013-2014 academic year will extend to Grade 12. Receiving the management support of EDUGATES® International, we benefit from a curriculum that focuses on Arabic language development and the promotion of Omani cultural traditions while at the same time incorporating challenging US standards that lead to qualifications which grant graduates entry to international universities. 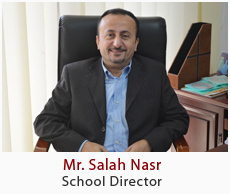 © 2010 International School of Oman.